The colorectal specialists at the Colorectal Center Los Angeles are nothing short of extraordinary, with decades of combined experience in successful colorectal procedures. Because they understand that colorectal issues can be embarrassing, painful and inconvenient, they treat their patients with compassion and succor. Whatever your colorectal needs, our colonoscopy specialists and colorectal surgeons have the capability to deliver superlative results. 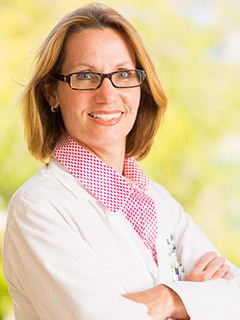 Dr. Beth Moore, MD, FACS, FASCRS, has been in practice as a colorectal and general surgeon for nearly two decades. She earned her medical degree at the Temple University School of Medicine, completed a general surgery residency at Albert Einstein Medical Center went on to receive specialty training in colorectal surgery at the St. Louis University School of Medicine. Her unique double board certification in both general and colorectal surgery, combined with her extensive experience, uniquely qualifies her as among the top colorectal surgeons in Los Angeles and Southern California. Dr. Zuri Murrell is one of the top colorectal surgeons in Los Angeles and Beverly Hills, catering to issues that range from colon cancer and Crohn's disease to hemorrhoids and constipation. 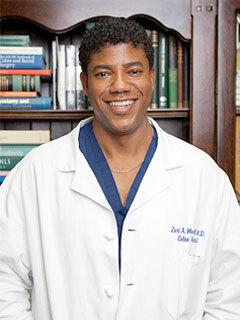 He is board certified in colorectal surgery and specializes in minimally-invasive techniques.